Part 1 of Music Insider Magazine’s “Copyright Law Primer” gave a very general overview of “fair use”. 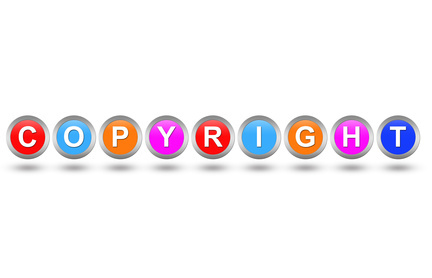 This issue covers one of the four primary factors that a court would consider when determining whether or not a particular use of another person’s copyrighted work constitutes “fair use” of that work. Are you making “commercial use” of the original work? As discussed in Part 1, your use of a copyrighted work may not be fair use, even if you are not making any money from it. However, any commercial benefits you receive from your use, whether direct or indirect, are still relevant. Direct commercial benefits include (as you might have guessed), any monetary compensation paid to you as a direct result of your use of the copyrighted work. Examples include direct profits, subscription fees and pay-per-order revenue. Indirect commercial benefits can include anything (other than direct sales) that increases your profitability or notoriety in the profession, as well as revenue received from merchandising or advertising. Are you “transforming” the original work? Whether or not you are benefitting commercially, a court will also consider the extent to which your use transforms or alters the original work and the purpose for which it was created. In other words, ask yourself whether and to what extent your use of new work adds something to the original work, or changes its expression, meaning or message. In Bill Graham Archives v. Dorling Kindersley Ltd., the defendant had used images of Grateful Dead concert posters in a book about the band. In the book, the posters had been reduced to thumbnail-size reproductions along a timeline showing the band’s history. Due in large part to the fact that the size of the original works had been greatly reduced and were being used for a different purpose than originally intended (namely, as historical pictograms and not promotional designs), the U.S. Court of Appeals for the Second Circuit found that the defendant’s use of these images constituted fair use. In a similar vein, take into account whether your use may be considered a “parody” of the original work. The U.S. Supreme Court has held that parodies constitute transformative works and may qualify as fair use under the Copyright Act. However, be mindful that “parody,” which sheds light on and comments or criticizes the original work, is quite different from “satire,” which uses the original work to criticize something else and is not usually considered fair use. In Leibovitz v. Paramount Pictures Corp., for example, Paramount Pictures was sued for its use of a picture of a naked pregnant woman superimposed with actor Leslie Nielsen’s face and featuring similar lighting and angles as the famous Vanity Fair photograph of Demi Moore taken by Annie Leibovitz. The Second Circuit held that this use was transformative and thus fair use, as it was a parody that copied the style and content of the original work for comedic effect. The more transformative or non-commercial your use of a copyrighted work, the more support you have for a fair use argument. However, remember every “fair use” determination is facts-specific, and just because one factor or circumstance may weigh in your favor, does not mean that copyright law is on your side. Accordingly, it is important to always make sure to consult an attorney or request permission from the copyright owner before using a work.